IT'S HERE! 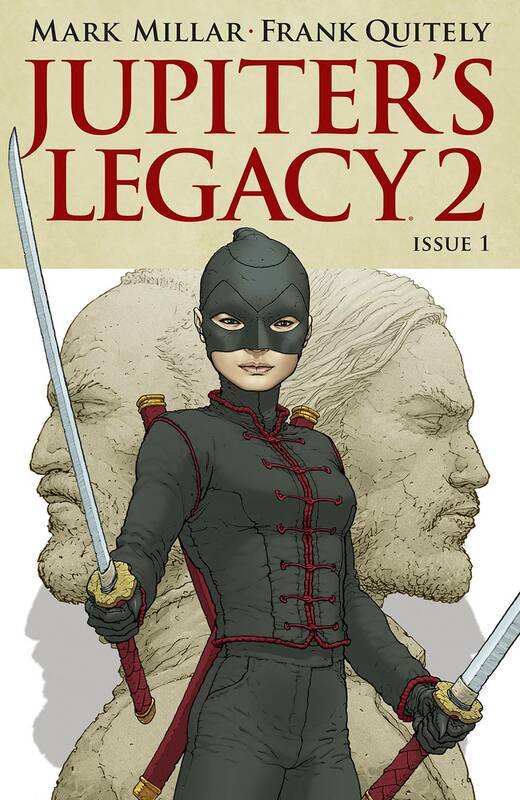 The sequel to industry sales-beast JUPITER'S LEGACY is back and it boasts monthly FRANK QUITELY! Superhero offspring Hutch and Chloe have come out of hiding with son Jason to assemble a team of super-crooks from around the globe.